High Speed Steel Tool Bits ( HSS Tool Bits ) are available in a variety of shapes and sizes for specific machining operations. HSS tool bits are high speed steel squares and flats that are heat treated and ground to close tolerances. They are provided in this finished condition ready to use or can be shaped for a specific machining application. They provide the cutting ability and long service life necessary to machine a wide spectrum of materials that are used in the metalworking industry. High speed steel tool bits are provided in a variety of grades for many machining operations. The grade of steel used is determined by the environment in which the cutting tool will be used. The correct grade should be chosen based on factors such as the material to be machined, required machining speeds and feed rate, and machining environment. General machining operations may be performed with tool bits made from high speed grades such as M-2 , M-3 and M-4 hardened to RC 62-64. More demanding machining operations may require the more heat-resistant high speed steel grades such as M-42 , T-15 and M-48 hardened to RC 65-68. HSS tool bits may also be manufactured using the PM-produced version of these grades. The PM process imparts better toughness and better grindability in these grades. After milling and heat treating, the tool bits are precision ground on all four sides for accuracy of size, shape and surface finish. They are usually ground to a close tolerance such as +/- .002" or +.000/-.004"
High speed steel tool bits are available in standard sizes ranging from 1/8" square to 1" x 1 1/4". They are also available in custom sizes to meet your demanding machining applications. 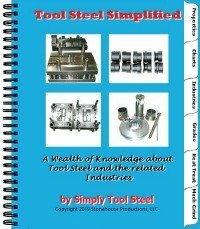 Check with your industrial cutting tool distributor or your Tool Steel Supplier for availabilty.